Mother’s milk has always been an instinctive source of nourishment, yet in Indian society there is this myth that has been created by advertisers that mother’s milk is secondary to what formula milk has to offer. The advent of these manufactured products did much harm in the past as it altered traditional attitudes and deprived babies of vital nutrition that is perfectly suited to them. World Breastfeeding Week is being celebrated from the 1st to the 7th of August and is part of the agenda to meet the plan of Sustainable Development Goals which were decided upon by world leaders in September 2015 and have a deadline of 2030. Breastfeeding has been recognised as the most effective way to safeguard the wellbeing of children in terms of health and is the means to lay a base for the growth and development of a country. While breastfeeding is the most economical way of sustaining a baby, there are preconceived notions that may keep women away from it, educated or not. They believe that breastfeeding will ruin their figures and that it will take up all their time. Some have even been convinced that baby formula is better than breast milk and often stop breastfeeding after six months, or even earlier, directly moving on to formula milk. In some households, it is the elders who force this directive onto the young mothers under a misguided idea that being able to buy expensive formula milk is a matter of status. The recommended transition is from six months of exclusively breastfeeding the child to a balance between age appropriate food and breast milk up to two years and more. The benefits of breastfeeding are tremendous and at no cost but the heathy diet of the mother. 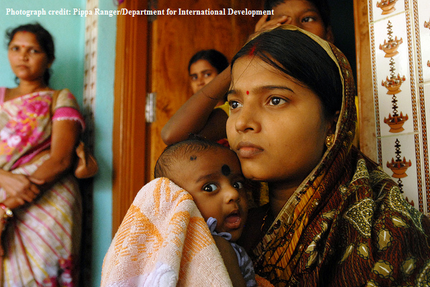 In a country such as India, where poverty is a debilitating reality, to be able to breastfeed is a marvellous boon. • Mother’s milk is a near perfect concoction of proteins, vitamins, and fat for growth and development of a healthy baby. • There will be reduced incidences ear infections, diarrhoea and allergies and a lowered risk of developing asthma and other respiratory problems. • The danger of sudden infant death syndrome (SIDS) is lessened by fifty percent. • A breastfed baby is less likely to become obese or develop chronic ailments such as type 1 diabetes, Crohn’s disease, heart problems, and celiac disease later in life. • Some studies have shown that breastfed babies are more likely to have higher IQs in later childhood. • Breastfeeding helps a woman get into shape faster post pregnancy as more calories are used up. • Healing takes place faster after delivery since oxytocin released through breastfeeding helps the uterus contract faster and lessens blood loss. • Women who breastfeed are less likely to have weaker bones because their bones absorb calcium more efficiently when they are lactating. • For women who do not breastfeed, there is an increased risk of developing hypertension, diabetes, heart disease, ovarian cancer, and breast cancer later on in life. • Contrary to belief, breastfeeding takes up less time than making formula, testing it for temperature, etc, because breast milk is ready and available when the child needs it. • Continuous breastfeeding (including night time feedings) delays ovulation. Goa Medical College is a good example of a hospital that has adopted the Baby Friendly Hospital Initiative (BFHI), the WHO and UNICEF’s worldwide programme launched in 1991 to promote the care and health of mothers and their babies. In this programme, education in breastfeeding for young mothers is mandatory and aids in dispelling numerous fears young mothers may have. ‘In the post-natal ward there is a trained lady who gives advice to all the mothers in the ward regarding breastfeeding. Plus, the doctors and nurses advise too. GMC has adopted the 'Baby Friendly Hospital Initiative' … encouraging breastfeeding is a big part of that,’ says final year medical student Colin Braganza. Besides this, anganwadi workers who facilitate the implementation of the Integrated Child Development Service (ICDS) scheme are employed with the task of educating mothers from lower income groups on the pros of breastfeeding and answering questions related to the subject. The anganwadi worker has become all the more important in this process with the influx of economically and educationally backward migrants into the State. A few more suggestions put forward at the Friday Balcao, Mapusa, to allow information regarding breastfeeding to percolate evenly at different levels of society, were to reach out to people in places of community gatherings (churches, etc) on the subject of the benefits of mother’s milk; and encouragement of dialogue and discussion among college and school students with their mothers on the same topic. Access to the right information is key to making the choice to nourish the child only with mother’s milk for six months and continuing with it alongside other food in the following months. The more Indian mothers adopt this practice, the more we shall move towards building a healthier and stronger future for our country.